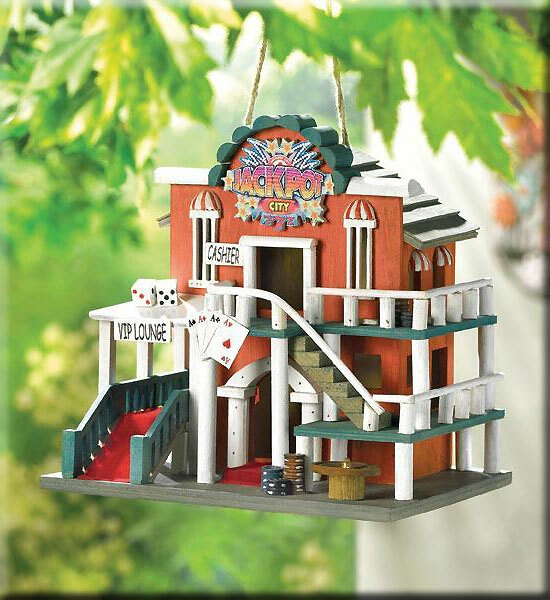 Stock# - 38277 Jackpot City Birdhouse - Cute little casino provides a heavenly lounge for any lucky high-rolling flyers! Whimsically outfitted with classic roadhouse trimmings; dice, chips, roulette wheel and cards - it even rolls out a red-carpet welcome! Wood with polyresin trim. 9 1/2" x 7 3/4" x 10" high. 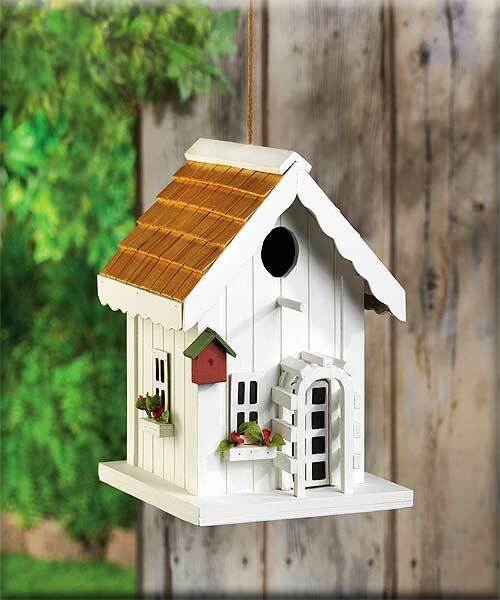 Stock# - 15112 Happy Home Birdhouse - Bright and cheery, just like the song of the lucky bird that gets to call this sweet house home! 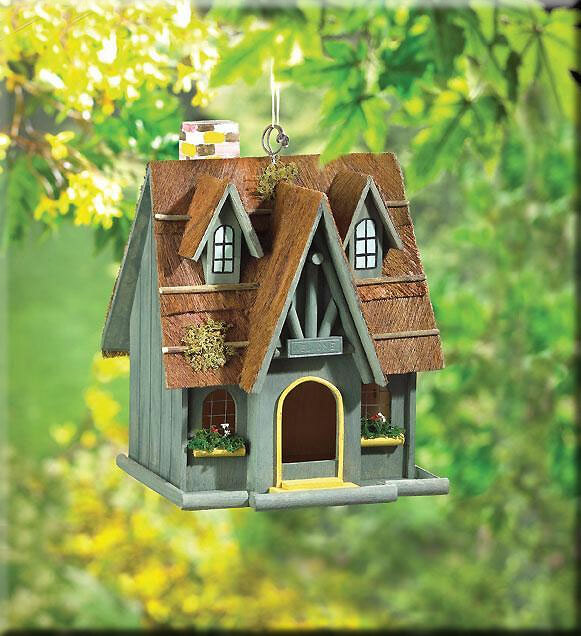 A perfect complement to your yard, this charming birdhouse features tiny window boxes bursting with tiny faux flowers, a trellis around the front door, and even a tiny little birdhouse of its own on the corner. Hang this from a tree in your yard and watch as new neighbors flock to move in! 7 1/8" x 7 1/8" x 9" high. Wood. 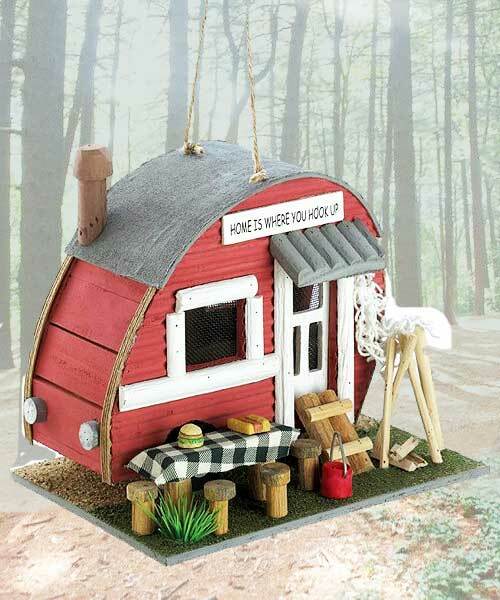 Stock# - 12503 Create a comfy campground for your fly-in guests with this cozy little trailer! 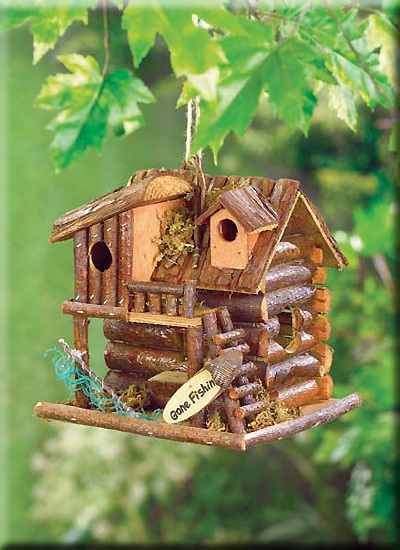 Comical birdhouse comes complete with all the accessories of an old-time outdoor paradise. 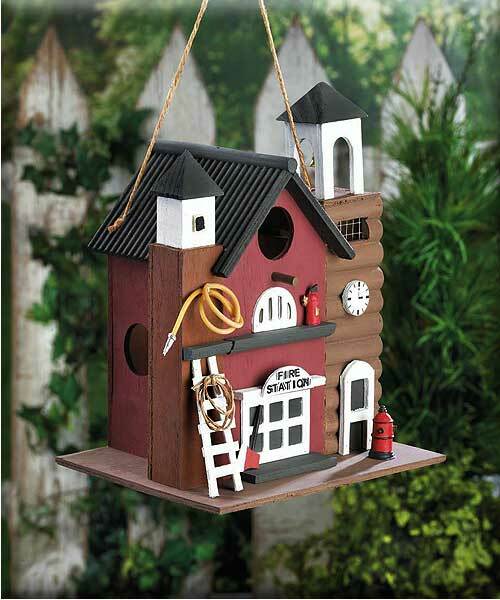 8.75" x 7.12" x 10.2"
Stock# - 10016851 The birds will love making a nest in this charming two-story fire station! The outside is decorated with a hose, ladder, and a hydrant right outside. Clean out hole on back. Stock# - 29313 The occupants of this cute cabin have "Gone Fishin" but will be back soon to enjoy their comfortable little birdhouse with all its fishing' theme decorations. 7 7/8" x 7" x 8 1/4" high.